It's 1896 in New York City and psychologist (The Alienist) Laszlo Kreizler is enlisted by Police Commissioner Roosevelt to catch a killer preying on homeless boys. With help, and against all the odds, Kreizler must stop the grizzly murders in this impeccably told story. An absolute must watch. Set in New York city in 1896, the opening scene involves the murder of a very young boy. And this is no ordinary murder. It is brutal beyond belief and a little stomach churning. John Moore, played by Luke Evans, is an illustrator who has been sent to the murder scene by his friend Laszlo Kreizler. The aim is to capture the image of the boy. Kreizler is an alienist, or in today's terms, a psychologist. He believes that the boy is just one of many being killed by the same person. However, as a doctor he has no jurisdiction over the crime and the police are less than receptive to outside interference. Fortunately for both Kreizler and Moore, they went to Harvard with Commissioner Roosevelt. He in turn is facing his own problems having taken over an exceptionally corrupt police department. Knowing they have vey few people to rely on, Roosevelt sends two detectives to help investigate the crime. Marcus and Lucius Isaacson are two young officers whose progressive nature and Jewish background have seen them more or less excluded from the every day goings on in the department. The last person to join the group is Sarah Howard, played by Dakota Fanning. She is first female to ever be hired by the NYPD. Bucking all trends for the time, she enters unchartered territory when agreeing to help out. It is now up to the five of them to find the killer before any more murders take place. It is an uphill battle for a number of reasons. The first is that it must be done in secret to prevent the old guard in the NYPD from kicking off. The second is that the boys being murdered are all child prostitutes who nobody really cares about. The third is that the primary suspect is from an incredibly wealthy family who will stop at nothing to protect their son. With their backs to the wall, can they stop an invisible murderer? 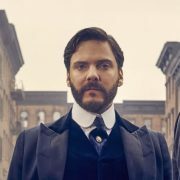 The Alienist is an impeccably executed series. Every single character and actor playing them is sublime. 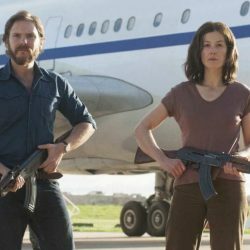 Daniel Brühl as Laszlo Kreizler is inspired. 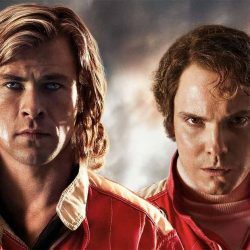 He also starred in Rush as Niki Lauda as well as Tarantino's Inglorious Basterds. The setting, the attention to detail replicating 1896 is top notch. Every episode is well thought out and leaves you hanging for more. If you give it a go then expect to binge watch. The tension keeps building as the story unfolds and the ‘next episode' button becomes just too much to resist. And the good news is that a second season of the show was confirmed on August 16th 2018 and it will be based on the sequel to the original novel called The Angel of Darkness.